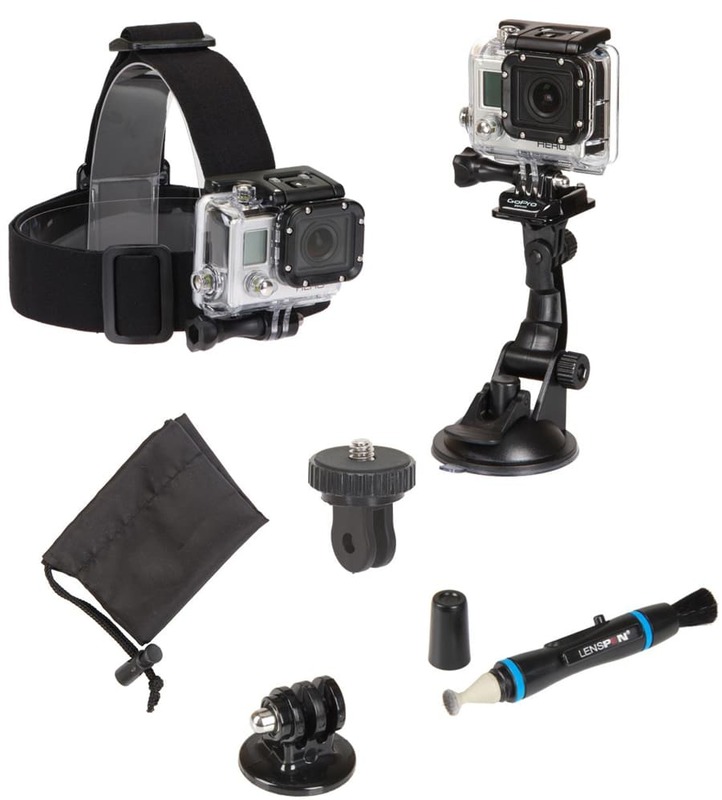 The Sunpak Deluxe 5pc Action Camera Kit contains everything you need to take great action videos with your GoPro camera. The Deluxe 5pc Action Kit contains accessories for practically every type of activity in order for you to get the perfect photo or video. The kit comes with a Head Mount to capture all of the action from your vantage point. It also comes with a Suction Cup, which attaches to any smooth surface and can withstand winds up to 150mph. Also included are a Tripod Mount, Point & Shoot Adapter and LensPen Lens Cleaner. The Tripod Mount allows you to connect your GoPro camera to a tripod via the ¼”-20 threaded base built into the mount. The Point & Shoot Adapter comes with a ¼”-20 threaded screw to allow you to attach your Point & Shoot camera to any GoPro finger mount. Finally, the LensPen Lens cleaner is the easy and safe way to always keep your GoPro lens clean. The kit also comes with a convenient storage pouch to carry all of your accessories. Point & Shoot Adapter: 0.55 oz. Suction Cup: 4.7” H x 2.7” W x 2.7” D.